Merck boss Ken Frazier quit a White House council to protest the president’s dismal response to Charlottesville. National duty, ego and fear of a Twitter rebuke may have kept CEOs in their seats. But with little to show for staying, resigning would limit further political taint. 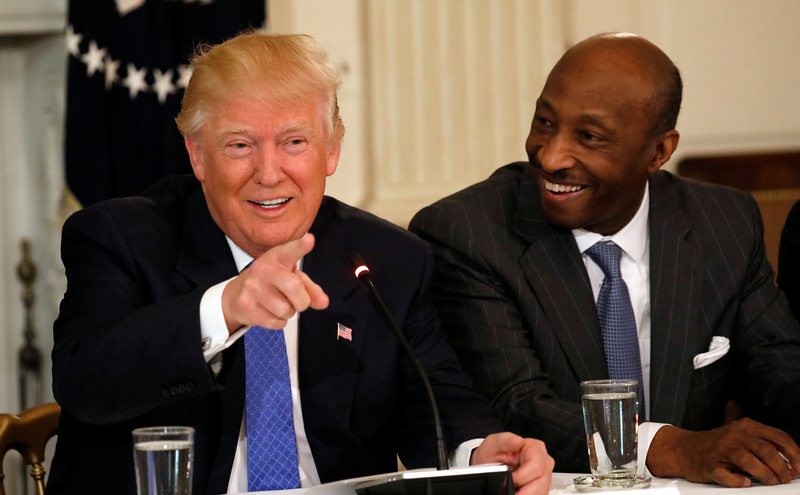 Merck & Co. CEO Ken Frazier (R) listens to U.S. President Donald Trump speak during a meeting with manufacturing CEOs at the White House in Washington, DC, U.S. February 23, 2017.